If your organization is planning to (re)build a website, WordPress and Drupal are popular CMS choices. That’s not so strange, because both Content Management Systems are popular opensource CMS’s. We develop many websites using these CMS’s. Drupal is ideally suited for the development of client platforms, websites and intranet sites. If you already have a Drupal website, we can help you with the development and we can do the technical management for you. Do you want to build a new website? Then we evaluate which CMS can be used best. Ultimately, the website needs to meet your wishes and requirements. Do you want a website that takes your business to the next level? Then contact us. 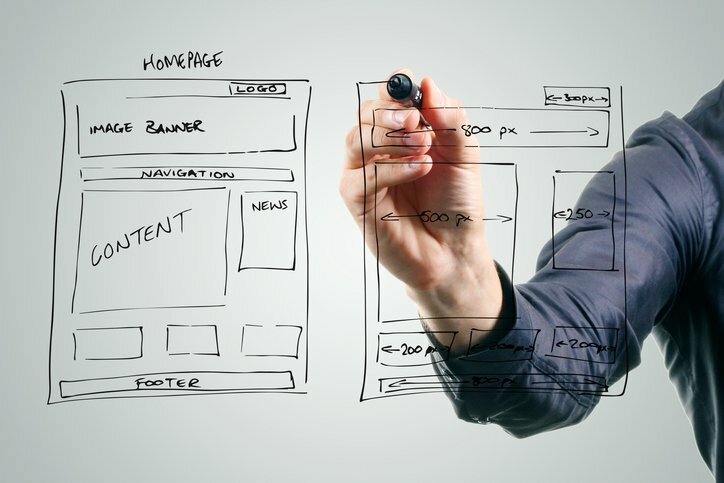 The development of a new website usualy stems from the business needs of a company. Who is the targeted audience for the website? What does your company want to achieve with the site? The days of just having a “web presence” are long gone. A website must help the company to increase revenues, customer experience etc. isource is focussed in helping you achieve these goals. We are interested in your ideas about a new website and would like to share our thoughts with you. With almost 30 years of development experience and a dedicated team of experts we believe we can help you and your company reach the next level on the internet! We would like to discuss the possibilities and our approach to making your new website a success! In order to keep your Drupal website secure and up-to-date, maintenance of the website is necessary. It is important that (security) updates are posted in a timely manner. We can handle this maintenance for you. Even if you have an existing Drupal website we can provide maintenance and hosting for you. A Drupal website will also be hosted. This means that the website runs on one of our servers. We take hosting very seriously, as this greatly influences website speed, security and availability. With isource, the hosting of your website is in good hands.